If there is a better catch-and-throw guy in the country than MJ Melendez, we haven’t seen him yet. His combination of footwork, transfer and arm strength yielded pop times in the 1.75 to 1.85 range at the 2015 Under Armour Futures East Showcase, where he also recorded times in the low 1.9 range from his knees. As of the writing of this post, his 1.75 is the best we’ve seen from the class of 2017, while his overall defensive ability would most likely sit atop what is only a hypothetical ranking at this point. He is a well-rounded defender with soft, sure hands to receive. He has the flexibility to sit low and comfortably, while still being able to react quickly to balls in the dirt. 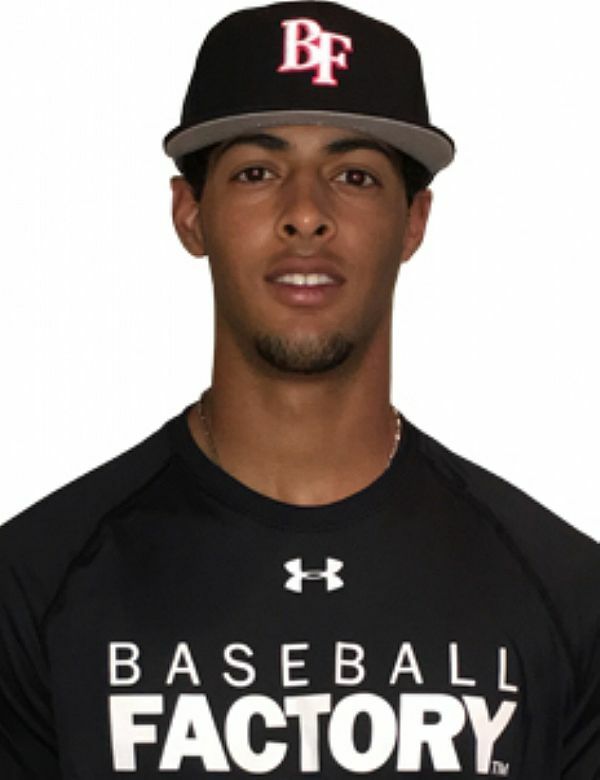 A left-handed hitter, Melendez triggers his swing with a high knee lift and some wrap with the barrel, but he has good rhythm to the action and was able to accelerate his hands and wrists to the zone. The route is a little long with the barrel, but he has feel for it and is able to deliver it against quality stuff. The son of a long-time college coach, Mervyl Jr. (or “MJ”) grew up around the game and at the ballpark. His father Mervyl Melendez has been a head coach at the Division I level for 16 years, and sits just one win short of 500 for his career through the 2015 season. Per his bio at www.BamaStateSports.com, in 2009 at the age of 35 years and two months, he became the second youngest coach in NCAA Division I baseball history to win 300 games. Before taking over at Alabama State University in 2012, he served as the head coach at Bethune-Cookman University in Daytona Beach, Florida for twelve years.